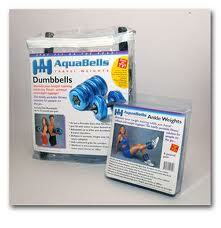 With AquaBells Travel Weights you can maintain your weight training while you travel without overweight luggage! The totally portable and collapsible fitness solution for people on the go. At last, a portable gym that fits into your briefcase! Carrying traditional weights through airports are impractical. With AquaBells you can continue your workout program without adding extra weight or luggage for your trip. Get a Full Body Workout - Anywhere and Anytime! The original and amazing Weight Training & Physical Therapy solution for staying fit on the ROAD, at HOME, and in the OFFICE. Maintain your weight training while traveling without overweight luggage! 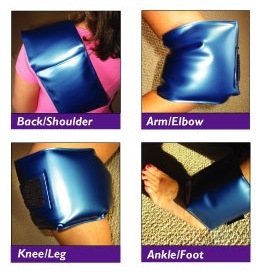 The totally portable and collapsible fitness solution for people on the go. At last, a portable gym that fits into your briefcase! Carrying traditional weights through airports are impractical. 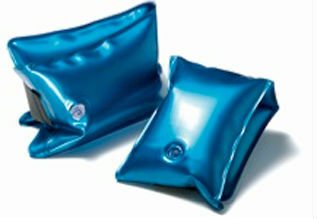 With AquaBells you can continue your workout program without adding extra weight in your luggage or carry-on bag. 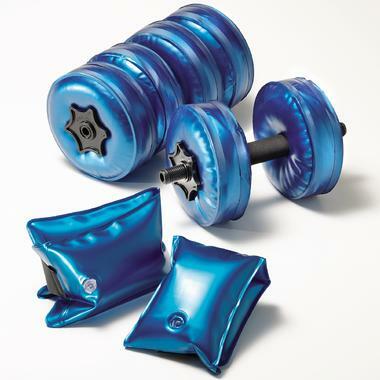 Order your AquaBells Combo Set Travel Weights from FitnessZone.com today!